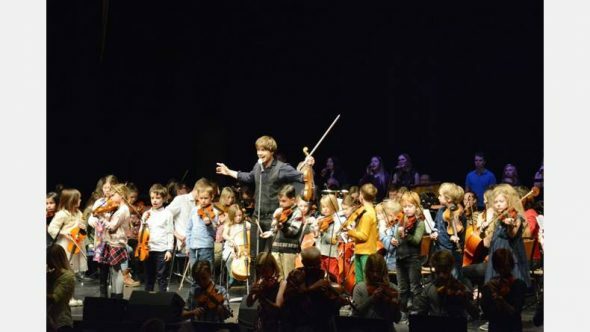 Vastervik: Scores of preparation culminated in a strong concert featuring 130 children and young people. 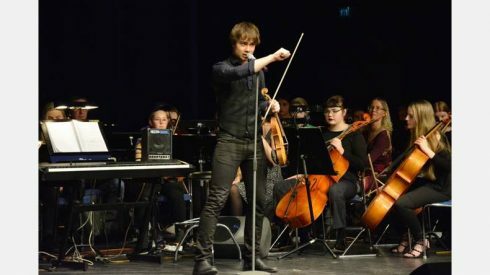 The icing on the cake – and inspiration – was a world artist Alexander Rybak. 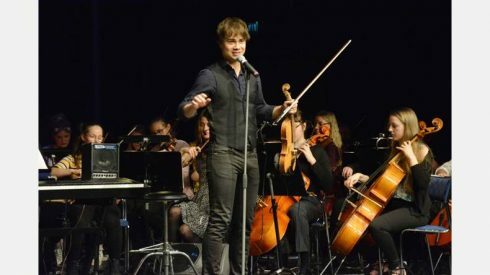 For the great mass Alexander Rybak is best known as the winner of the Eurovision Song Contest 2009 in Moscow. With his song “Fairytale” won his superior throughout the competition, thanks to the cheerful violin playing. But it was a few years ago, now plays and inspires Rybak over the world and on Saturday it was a different audience who would be charmed, the Vastervik. 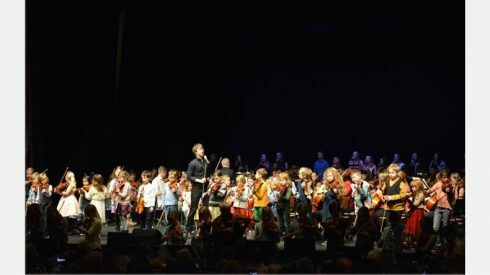 It all began when the West’s Orchestra Society was looking for an inspirational project for music fans, children and adolescents. 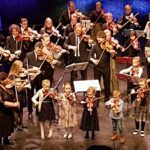 – We sought and received money from the Savings Bank Foundation and from the municipality, says Richard Case Lindquist, president of the West’s Orchestra Society, also string teacher at the music school. The projects have been going on for a long time, schools and music students from throughout the county have practiced the repertoire in their home environments. 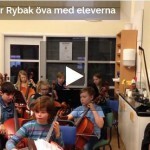 In Friday began a two-day camp for string students, based at Vastervik. Here all met and practiced together for two days. 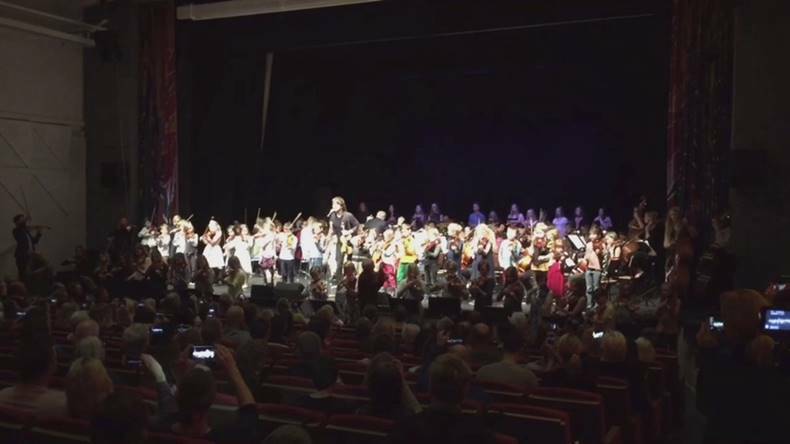 About 80 string students from Hultsfred, Vastervik, Kalmar and Oskarshamn have been in place. Together with students from the school culture, represent the 130-strong orchestra and underhållningsgensemblen. 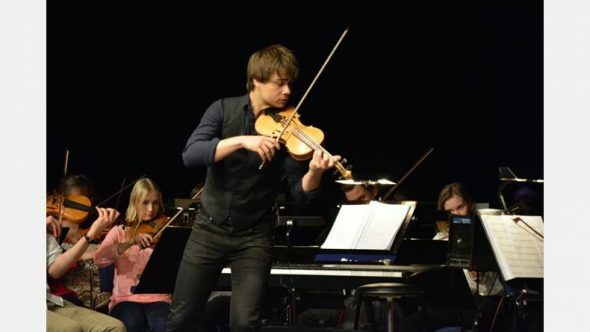 During the camp, and Friday and Saturday concerts, Alexander Rybak was in place and practiced, inspired and played. – He’s a good teacher, he’s funny, says Sebastian Gaugere from Västervik. He and his sister Wenessa have practiced diligently for the concert. – We’ve been practicing at least one fourth of the day before the camp, says Wenessa. Interest has been skyrocketing, Peter Andersson from the School of the Arts says it could even sold out of a performance. And it really is full in Västervik theater and conference. Several nice songs was performed before the break, including “Rolling In The Deep” by Adele. Tuning Singers, orchestra and music and dance students really show that they can also dancers had to take place on the stage. 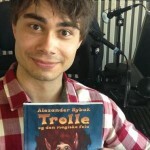 Alexander Rybak himself is relaxed and charming. The audience can sing along to his songs, and he plays captivating and beautiful folk melodies from Norway on his violin, amplified by the orchestra. 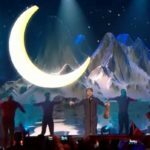 – Here on the stage are the future stars, if you take care of them, says Rybak. So it was time for string students. 80 toddlers with bow in hand, playing happily and välövat. When all join in “Fairytale” is so proud relatives almost bursting at the rows of seats. And it can really understand.